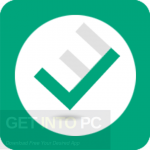 VueMinder Calendar Pro Free Download Latest Version for Windows. 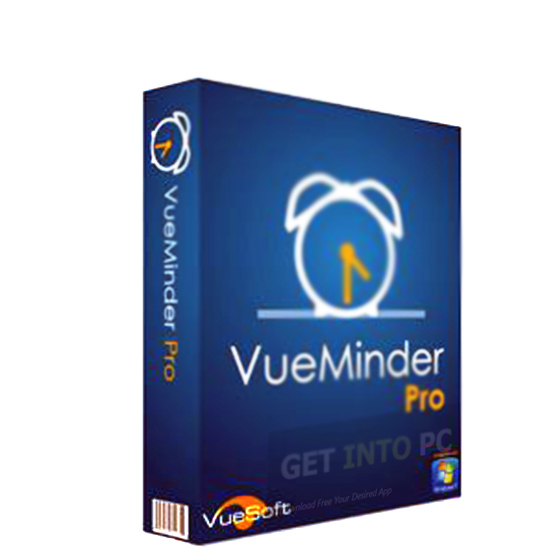 It is full offline installer standalone setup of VueMinder Calendar Pro for 32/64 Bit. VueMinder Calendar Pro is an application that can be used for keeping a track of your records, managing appointments and getting reminders. 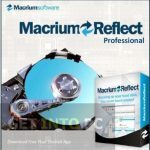 It is a very powerful application and more than half a million users have experienced what it is capable of. VueMinder has got lots of features which made it an automatic choice for all the users out there. You can also download Rainlendar. You can schedule different events and appointments on daily, weekly, monthly and annual basis. You can also divide your large tasks into numerous sub-tasks in order to handle them with utmost efficiency. It has got an effective Contact Manager in which you can store and find your contacts information with ease. 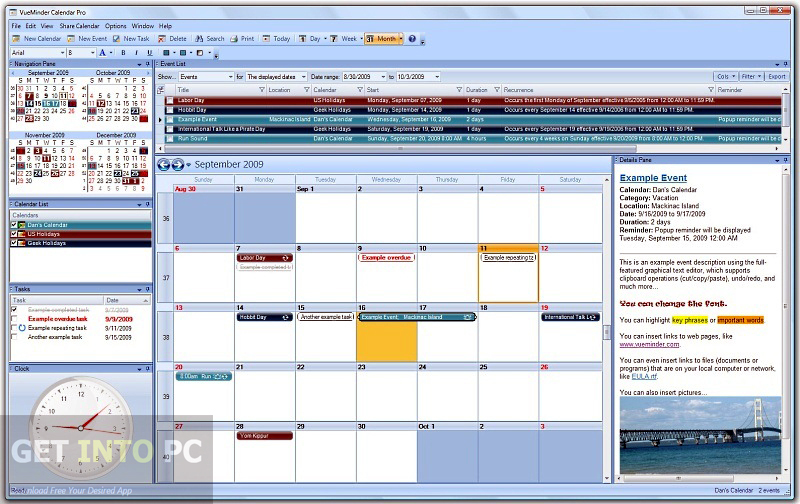 There are lots of Calendar views like day, week, month and year list as well as timeline views. 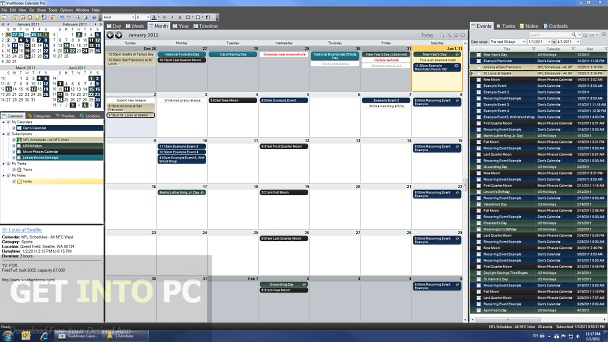 With its Desktop Calendar feature you can view your scheduled tasks directly on Windows desktop background. Talking of reminders you can easily view pop-up reminders as well as send them via email, SMS and text to speech. 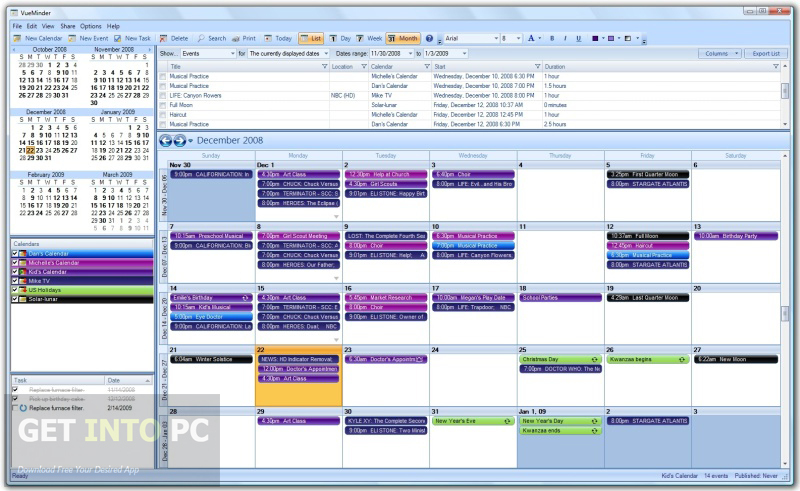 Calendars can be organized easily by color coding events and notes. You can insert a picture to some special dates. It also allows you to sync your calendar with local network, Outlook, iCalendar and Google Calendar etc. 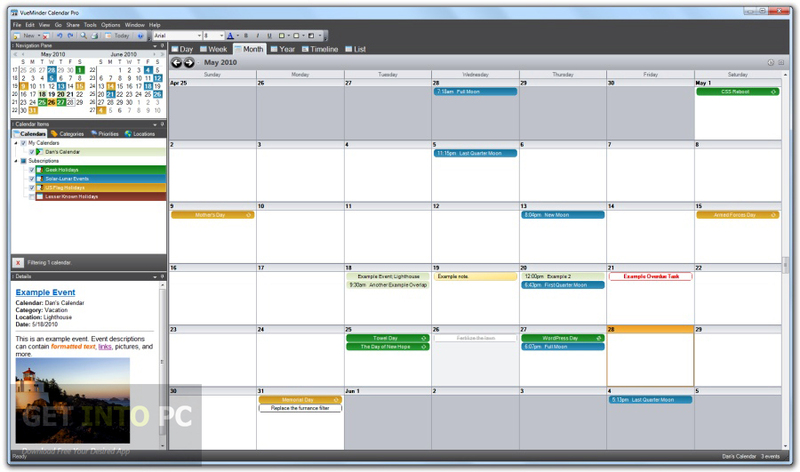 You have the option to print your calendars for offline viewing with huge variety of styles and layouts. Below are some noticeable features which you’ll experience after VueMinder Calendar Pro free download. Can keep a track of your records. Can schedule different events and appointments. Can divide your tasks into numerous sub-tasks. Got an effective Contact Manager for storing and finding contact information. Can view your scheduled tasks on Windows desktop. Can view and send pop-up reminders. Can organize calendars by color coding. Can sync your calendars with local networks, Google Calendar and iCalendar etc. Before you start VueMinder Calendar Pro free download, make sure your PC meets minimum system requirements. Click on below button to start VueMinder Calendar Pro Free Download. This is complete offline installer and standalone setup for VueMinder Calendar Pro. This would be compatible with both 32 bit and 64 bit windows.